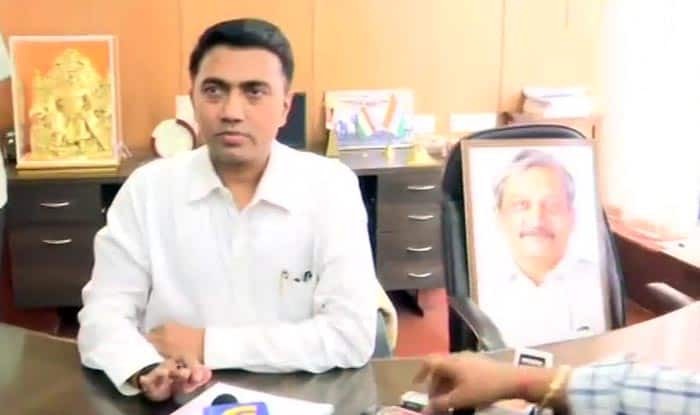 The Bharatiya Janata Party (BJP) leader and the Goa Assembly speaker Pramod Sawant was sworn in as the 11th Chief Minister of the state on Tuesday at 2 am. Nine other ministers were also sworn in at the late night ceremony. Panaji: Pramod Sawant took charge as the new Chief Minister of Goa on Tuesday. Sawant said that they will be going for the floor test on Wednesday. He further stated that there will be two deputy chief ministers in the government- Vijay Sardesai and Sudin Dhavalikar. “We are going for the floor test tomorrow. There will two deputy CMs in this government- Vijay Sardesai and Sudin Dhavalikar. And I request all the people to not congratulate me or welcome me with flowers during the 7-day mourning period,” said Sawant as quoted by ANI. The Bharatiya Janata Party (BJP) leader and the Goa Assembly speaker Pramod Sawant was sworn in as the 11th Chief Minister of the state on Tuesday at 2 AM. The 45-year-old took over from former defence minister and four-time CM of Goa Manohar Parrikar who passed away after battling cancer. Parrikar was cremated at the Miramar beach on Monday. Nine other ministers were sworn in at the late night ceremony. These were Maharashtrawadi Gomantak Party (MGP’s) Manohar Ajgaonkar, BJP’s Mauvin Godinho, Vishwajit Rane, Milind Naik and Nilesh Cabral, Goa Forward Party’s Vinod Palyekar and Jayesh Salgaonkar and Independent MLAs Rohan Khaunte and Govind Gawade. The current deputy speaker, Michael Lobo, will continue to retain his position until a new one is elected. Meanwhile, the Congress in Goa slammed Governor Mridula Sinha and called her an agent of the BJP for giving the saffron party a chance to form the government in the state. “We’re strongly condemning undemocratic action of Goa Governor Mridula Sinha for not allowing our single largest party to form the government and allowing BJP to carry on horse trading despite BJP not having sufficient numbers to form the government,” Congress’s Sunil Kawthankar had said.